amixon® specialises in the development and manufacturing of processing equipment for the processing industry. One focus of the amixon® product range is on sterile equipment which fulfils even the highest requirements in terms of hygiene. Continual innovations such as mixing devices and discharge processes for complete discharge have enabled amixon® to make further improvements in productivity and the hygiene standards of the process equipment. Many detailed solutions are protected by patent. The individual fabricated mixers and dryers find application in many different branches. For the testing of mixing processes, amixon® has 6 test centers in Paderborn/ Germany, Memphis/ USA, Osaka/ Japan, Bangkok/ Thailand, Tianjin/ China and Satara / India. 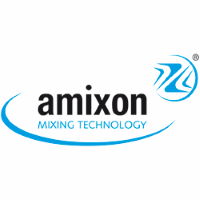 All components of the amixon®-mixers are made in Germany. The production of the machines takes place exclusively in the amixon®-factory in Paderborn, Germany.